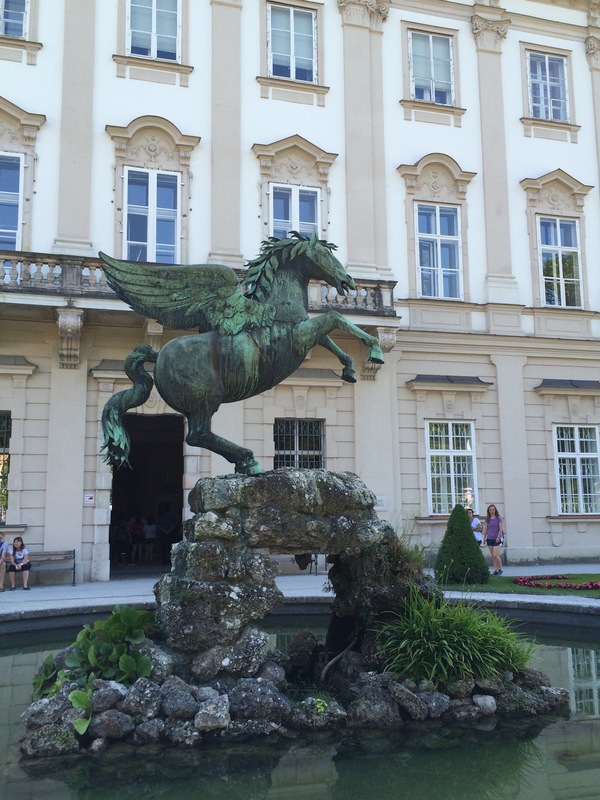 ﻿ Mythology within the garden of Mirabell Salzburg. 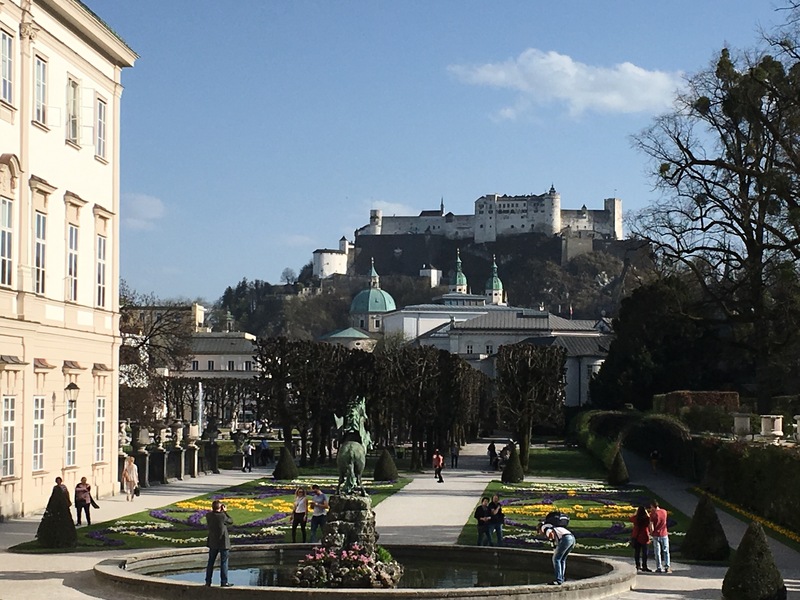 Right in the middle of the wonderful mirabell garden – a lover’s present from our Archbishop Wolf Dietrich von Raitenau for his mistress Salome von Alt – there is a fountain with a high water cupola. Around the fountain you will find awesome arrangements of flowers. Four stone figures representing water, fire, air and earth surround the water cupola. Might they know about the diabolic story of the stone water basin? Well, we are sure the former prince archbishop Johann Ernst Graf von Thun und Hohenstein knew the story about the devil and the young Ilse. 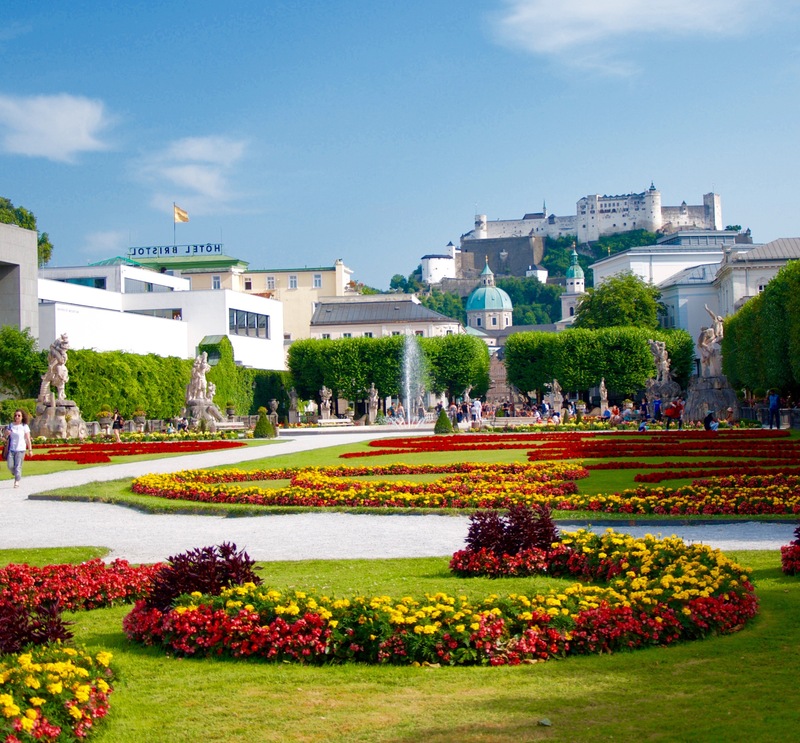 During the spring time oft he year 1690 archbishop Johann Ernst wanted to relax in the wonderful countryside of Salzburg. 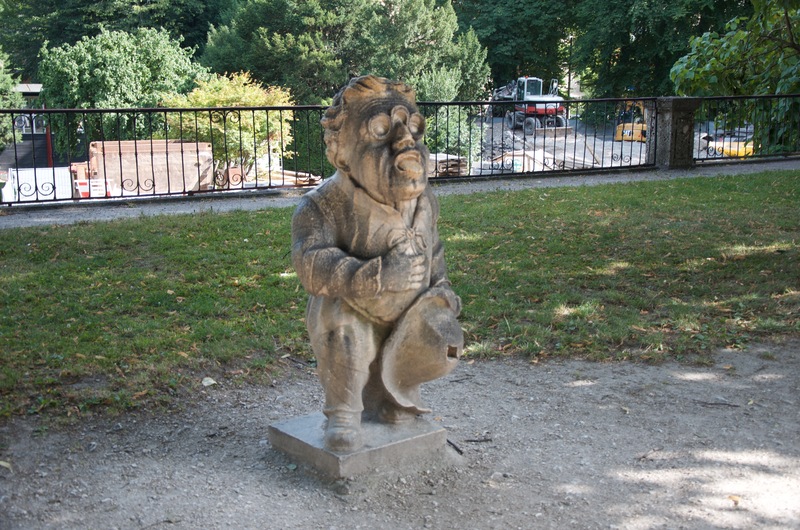 There were renovations at palace Mirabell and therefore he wanted to go in the silence of the surrounding woods. Fascinated of the goodliness of the countryside he crossed fields, forrests and some of the strong rivers with his horse. At the moment when he wanted to return he saw on the top of a near mountain a stone bulk of, which was not there before. The priest did not want to return, he wanted to know what was going on there. He went on his horesback into the village where the people were very busy. But no one wanted to tell him what was going on with the stone bulk, except of one old lady in a decomposed house invited the prince archbishop to come in and hear the story of the stone bulk. She started telling him, that this is not a usual stone bulk. For the appearance something strange had his hands in. Not far away from the actual village there was many years ago a village located with a wonderful church. From far away a lot of people came to the mess in this church and a young lady living in the village – her name was Ilse – always arranged wonderful flowers in this church. Everybody loved her for such a great decoration. But on one Sunday morning the visitors of the mess saw a very sad picture, no flowers at all and on the stairway to the church the parents of the girl were sitting and crying. As they were asked what happened, they told the others that the devil came for Ilse. On the day before happened the following: Ilse was on the field to collect the flowers and as she entered the area of the square before the church, a limping person was waiting for her. He took the girl with him and disappeared. On the square there was a sulfurous smell in the air. Not far away in the field they also found the steps of three foot and one hoof. They followed the tracks to the top of the mountain and found Ilses’ clothes on the stone bulk which was not there on the day before, and only mortal people were able to remove the stone bulk from this place. The prince archbishop was so angry and sad about that, that he called all his handcrafts working on the palace of Mirabell to remove the stone bulk. They were successful and took the stone bulk back to the palace and made the basin of the big water fountain in the middle of the gardens out of these stones. The fountain in the middle should always remember the girl Ilse. A nice memory for a young girl in the middle of a famous garden and one of the most pictured fountains within the city area – isn’t it? 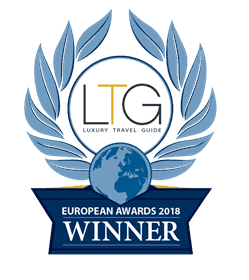 So take your picture back home with you and tell your friends about legends in good old Europe – especially Salzburg! 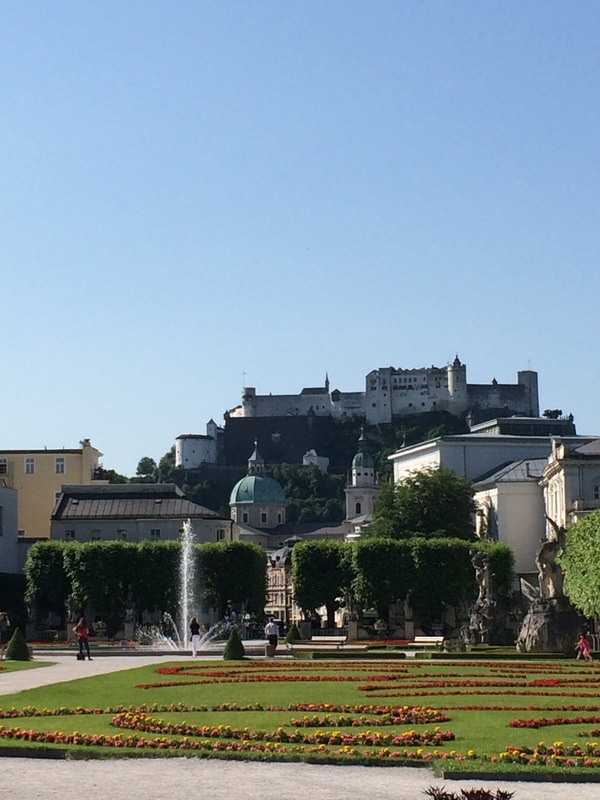 B(e) special in Salzburg with bspecialtours!